and MailChimp (where my mail lists are now). 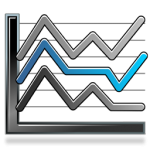 It gives you Analytics data, complete with graphs, referrers and top content. The graphs show when you list campaigns were sent, so you can easily see their effect. It also has filters so you see distinct graphs, such as Total, CPC, Organic, Referral or e-mail list. Further on the MailChimp side, it also displays subscriber graphs for any of your e-mail lists. You can also set GA to show only the blog stats. 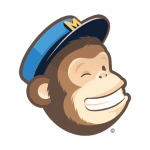 If you use both MailChimp and GA, it is pretty neat.